Located just a short distance from Marigot, the rum distillery is a not to be missed spot. Officially called The St Lucia Distillers — check out their web site at http/::www.stluciarums.com. If you’re up for a long walk, you can get there in about a half hour. Walk up to the village; at the height of land on road, take the road off to the right and follow down to the main road. From there take a right and just carefully walk along the side of the road (careful – no sidewalk and traffic). You will come to a small village road on your right and this will lead you shortly to the factory — and at this point, you’ll be ready for some tasting! Be sure to bring some water along with you. It also an easy drive of about five minutes. Drive up to the village and down to the junction; turn right; about a half mile down the road take a right into the village of Rousseau. The distillery on StLucia was actually started in the late 1950s tho prior to that, rum was made for years on the island on plantations. 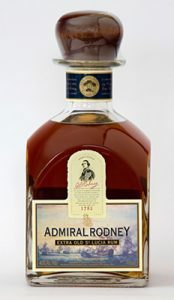 The owners of the rum distillery pride themselves on quality driven rum products that range from Bounty (their trademark lower priced rum that is good for mixing) to their premier, Admiral Rodney, which is a superior sipping rum. In between, try Chairman’s Reserve – and then all their specialty rums laced with coconut, coffee, peanuts and others. Some of my favorites — Forgotten Cask and Nutz n’ Rum ! Their tours take about an hour and delve into the history of rum making and also of the island of St.Lucia, in general – the tour is really worth your time and I highly recommend it. Call them ahead to find out the times of tour that day. And at the end, a general tasting of all their products. Then be sure to stop at their store to buy some to take home — great for gifts or for you.